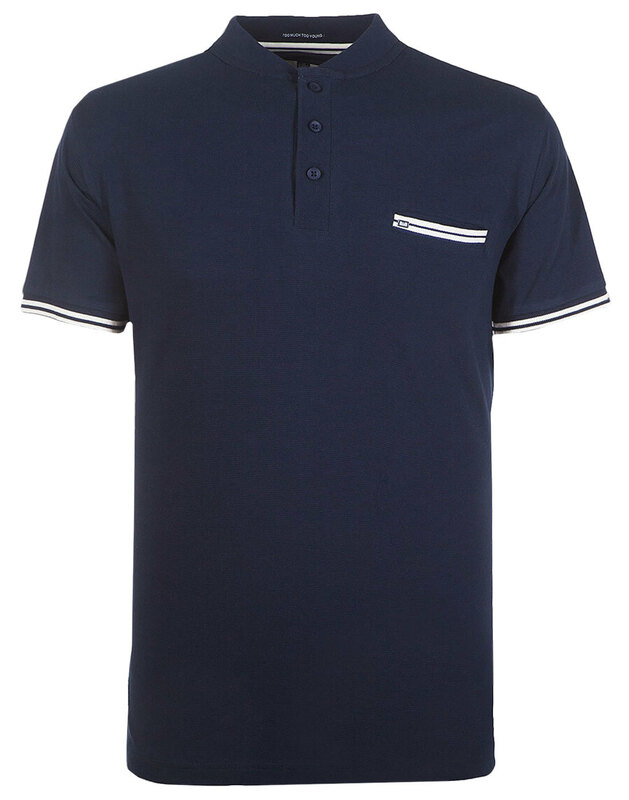 A modern update to the classic polo shirt from Weekend Offender. 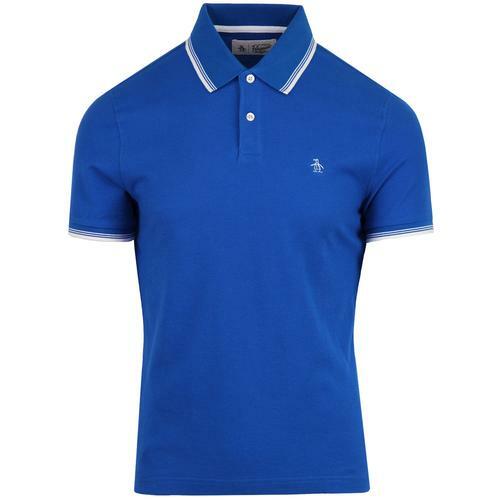 Men's standing collar polo (akin to a bomber collar) in navy, in a specially made raised stripe fabric. Smart and clean cut style from Weekend Offender. 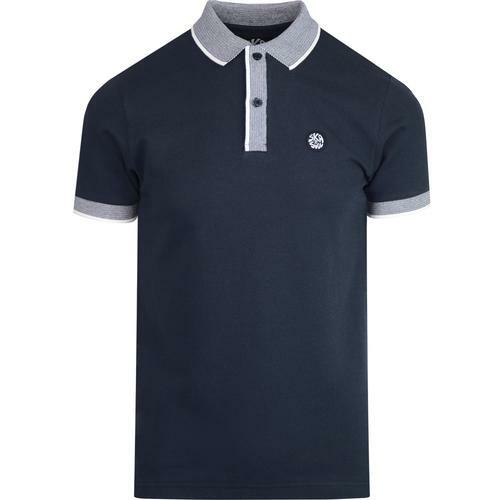 - Weekend Offender mens standing collar polo shirt in navy. - Specially developed raised stripe cotton mix fabric. 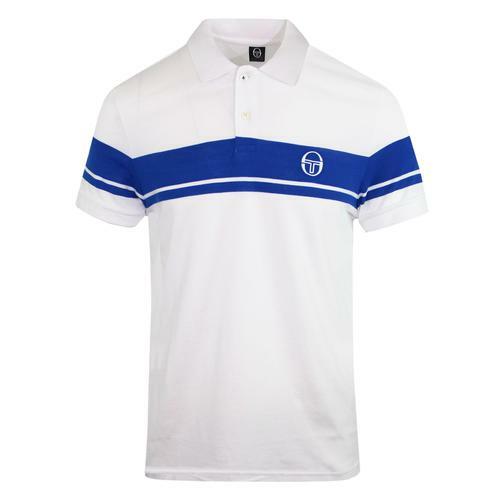 - Contrast stripe tipping to the chest pocket and cuffs. - Weekend Offender badge to chest pocket.